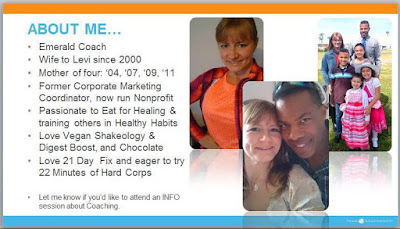 Jackie, Healthy Witness: Coaching is Rewarding! It is so rewarding to have a friend thank you for showing it's possible through posts to lose weight while being a busy wife/mom, not being perfect, and just trying daily is all that's required. It's rewarding to have a client share with you their new recipe with Shakeology because they absolutely love it giving them energy, losing weight, and making healthy quick and easy. It is rewarding having a coach on your team tell you THANKS for the discount whether they work the business or not so they can enjoy a healthy quality shake, other supplements, and variety of workouts while not paying full price with no pressure to do, say, or post anything (no strings attached). Their weight loss, energy, and posts are an additional feel good for sure. It is a rewarding to have others EXPERIENCE what I already have based on a leap of faith to just give it a try especially with the refund policy (LOL). It's not a scam. There are no requirements. It's your health, in your time, your way. You are personally responsible for you and no one else. I enjoy being here for you cheering you on, inspiring, and being a constant supporter of your goals. You are entitled to support, time, short cuts, quality, and more while you're the boss. I'd love to have you on my team enjoying healthy living. You deserve health! Send me a message from my Page, Click Here.